Hooray! 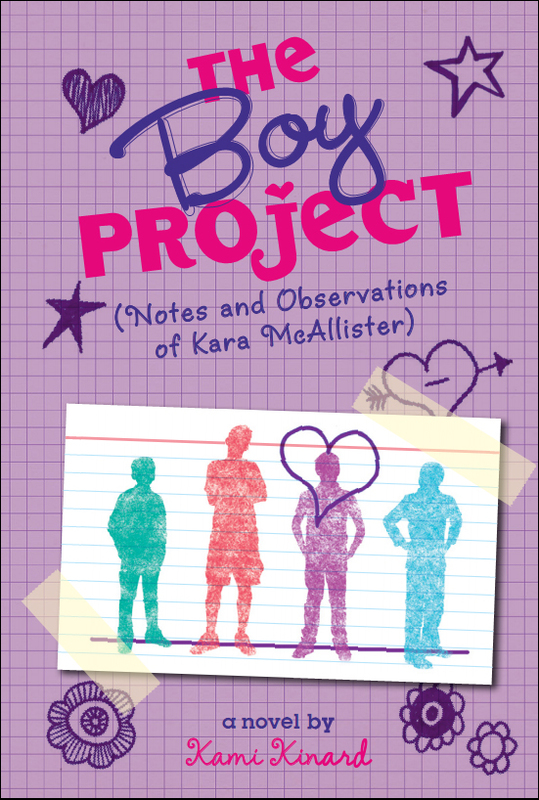 THE BOY PROJECT (Notes and Observations of Kara McAllister) , a humorous middle grade novel from Scholastic, was released TODAY! In honor of the book’s release, we are featuring some of the crafts Kara mentions in the book on the blog. Kami Kinard, the book’s author, is the mother of CLM, this blog’s creator. The Altoid Box Suitcase was one of our first posts. Kami liked the idea so much that she included it in her book! Click on the book in the sidebar to learn more about it! Make a realistic looking suitcase for your doll. 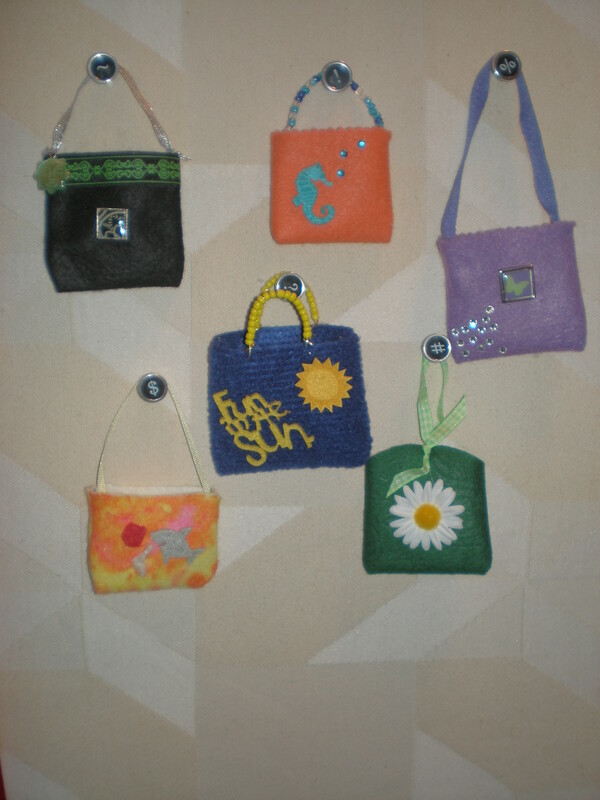 This craft is a little more difficult, but we loved the result! Fold sheet of paper until it is slightly smaller than top of Altoids tin. This will cover the embossed letters, if present. It will also provide dimension. Center the folded sheet on top of Altoids tin and secure with masking tape. Continue to place pieces of masking tape on box until the entire surface is covered. Using a soft rag apply brown shoe polish to the masking tape. Wipe off excess with clean rag. Repeat process for darker color. Thread one end of coated wire through hole. Bring Wire through other hole and twist to secure. Print out small travel pictures. Pictures should be narrow enough to be covered by a single piece of transparent tape. Place sticky side of tape over colored side of pictures, leaving edges of the tape exposed. Carefully cut around pictures leaving a small area of sticky side of tape around the edges. Apply these picture-stickers to surface of suitcase. Create a tiny flower arrangement to decorate a dollhouse or to brighten someone’s day! 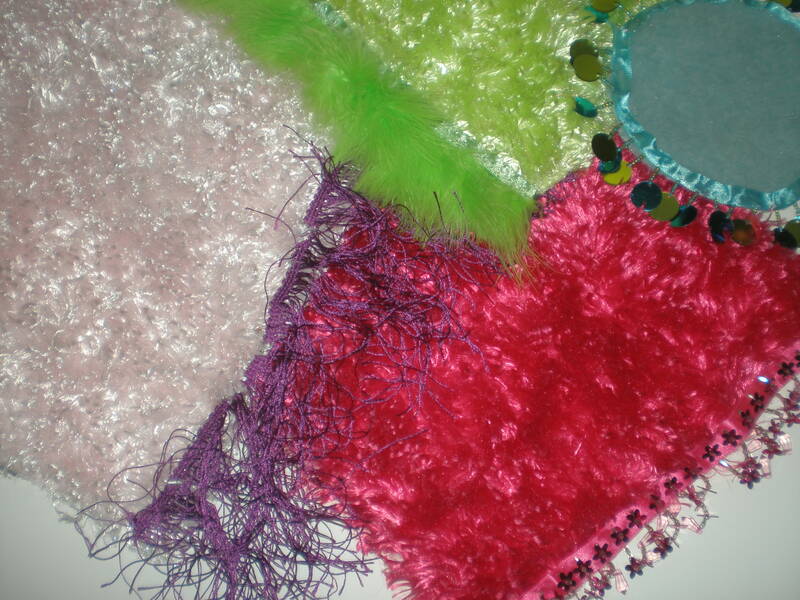 Bags of assorted sequins can be found at Walmart and craft supply stores. 1. 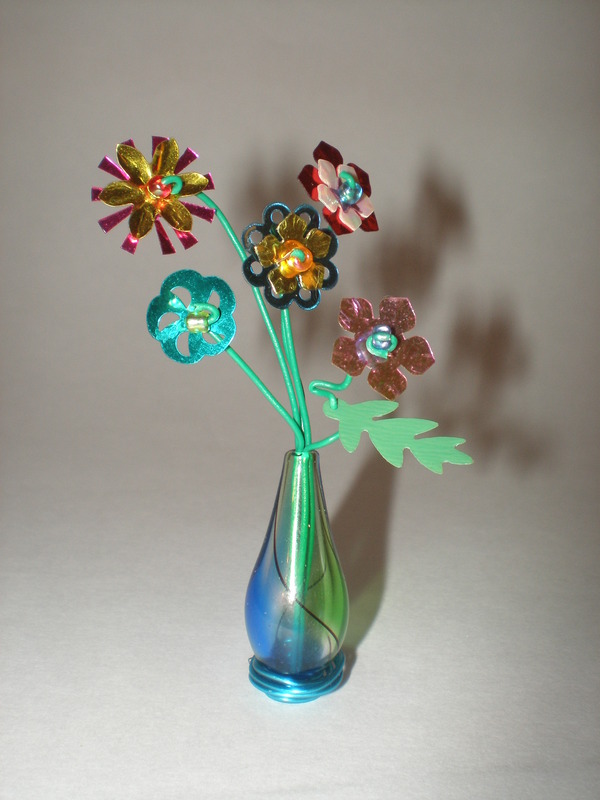 Decide how far you want “stems” to stick out of vase and cut wire. 2. Cut one piece of wire twice as long as the others. 3. Double long piece of wire and insert into bead so that the bent end sticks out of bottom of bead. Twist to form loop in wire. 4. Cut another piece of wire for vase base. Run it through the looped end. 5. Twist this wire around bead to create base. 6. Add sequin flowers, bending the wire behind the back of each sequin so it won’t slip. 7. Add a small seed bead to wire and bend wire around it to secure. 8. 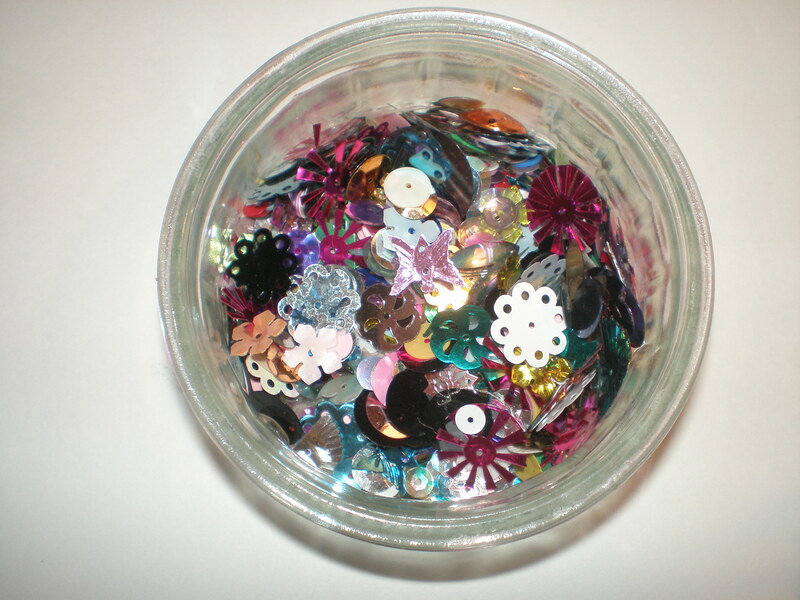 Insert other “stems” and repeat steps for adding sequin flowers! Tip: If using a large bead with a flat end, you could omit steps 4 and 5 and add a dot of glue in bead when you have finished arranging to keep flowers in place. These really turned out cute and were the perfect size for 18″ dolls. The little bags are actually wedding favor baskets. 2. Peel backing from ribbon or use fabric glue to stick it on. 3. 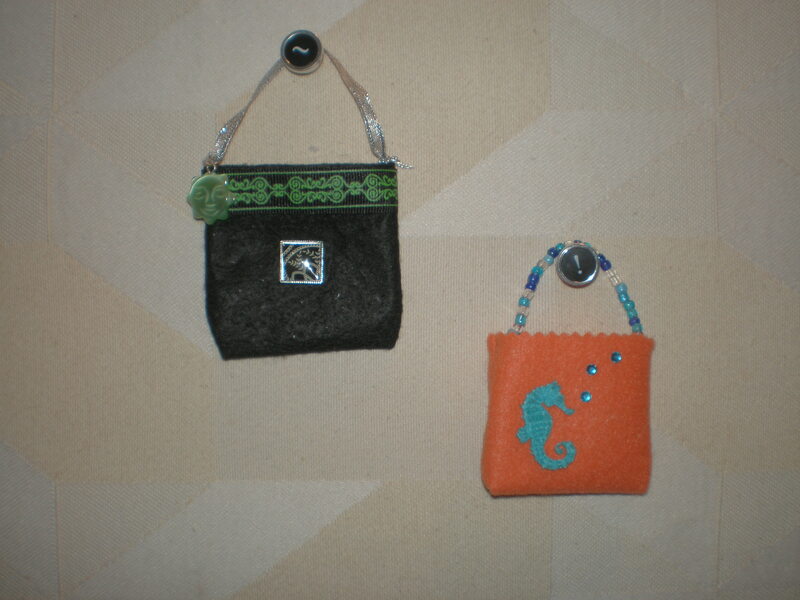 Use fabric glue to add acrylic gems. 4. Stickers and felt shapes can be added too. 1. Place the open end of sock on doll’s head. 2. Decide how much of the sock you need to cover the head. Make a mark on the sock with pencil or chalk. 3. Using scissors, cut sock in two about an inch above (toward toe of sock) the mark. 4. Bunch the cut end of the sock together tightly. Have an adult help tie yarn or string securely around them. 5. Cut off loose ends of string. Using Fabric Glue, cover the tied ends with a pompom. 6. Slide the open end of hat over doll’s head! Make a pillow from the other end of the sock!! 1. After making the hat, stuff the toe end of the sock with cotton balls or batting. 2. Fold open end over and staple the edges. 3. Using scissors, cut a piece of ribbon the right size to go across the end of the pillow. 4. Put fabric glue across staples. 5. Press ribbon onto the glue.